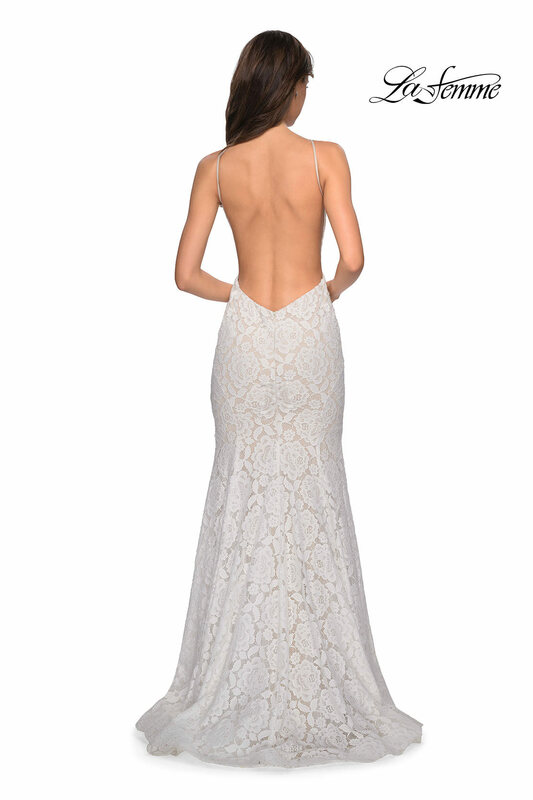 Look graceful and elegant while wearing this lovely La Femme 27289 Stretch Lace mermaid dress. 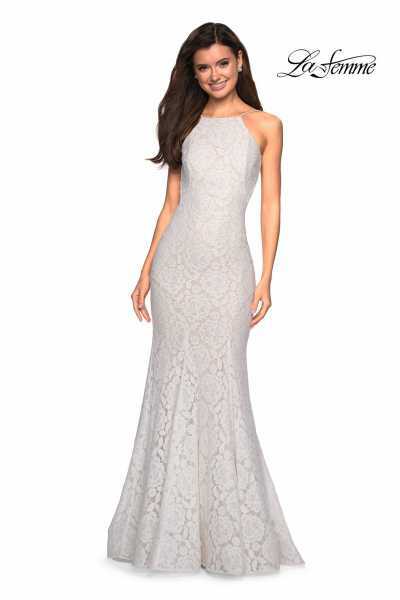 This dress has a high neckline and an open back. 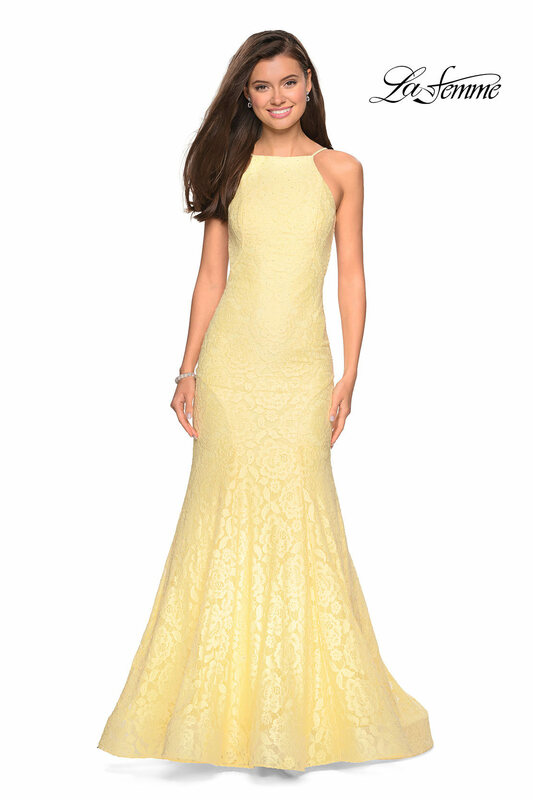 The dress will shine when you walk because it has rhinestones throughout it. 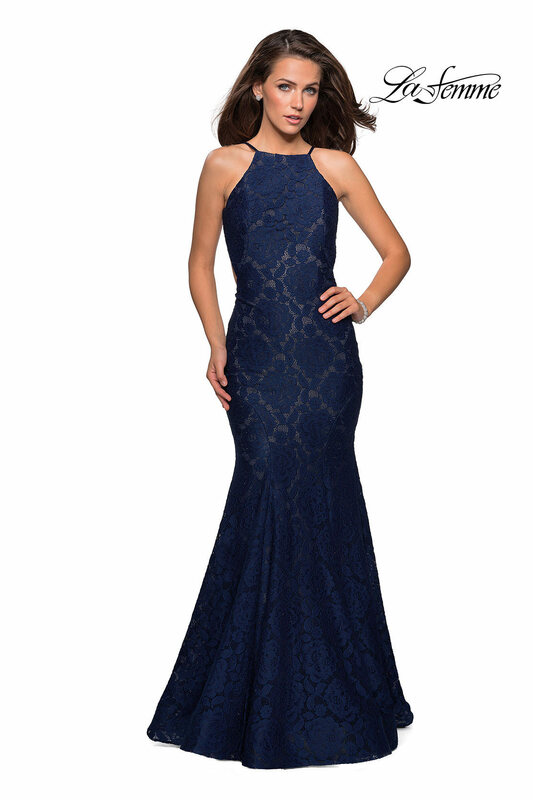 The mermaid style is very slimming because it gives you the perfect hourglass figure. 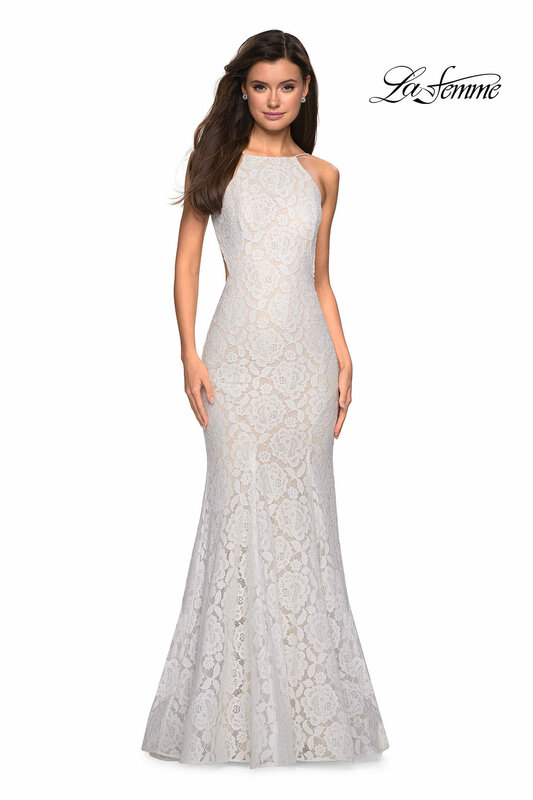 This dress has a zipper enclosure.